A special group of Las Vegas Metropolitan Police Department investigators is on pins and needles for Thursday night’s Vegas Golden Knights game. Since 1 October the group of seven detectives has bonded and healed because of the Knights. “Honestly, besides work, it’s all we talk about is the Knights,” said Marc Colon, an LVMPD detective. The officers laugh and cheer together at the games, something they weren’t sure they’d ever do again. “Most of us were working 18-20 hours a day and when the Golden Knights started playing. It just became our distraction,” said Trever Alsup, an LVMPD detective. These men rushed straight to the concert grounds after the mass shooting. They barely saw their families, their beds, just days of bloodshed. 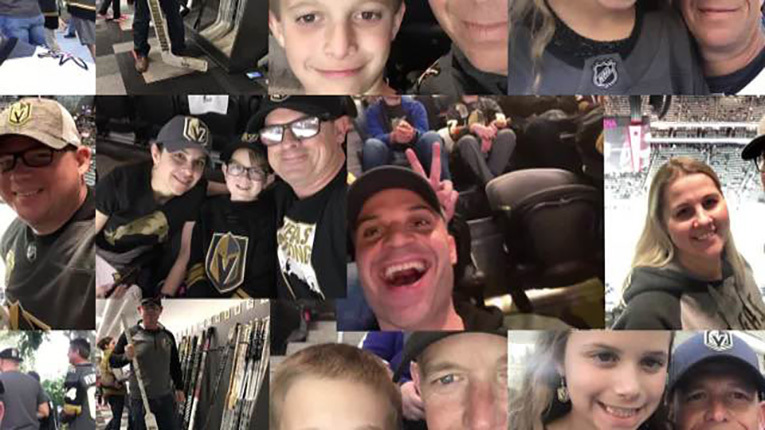 They had no idea, less than two weeks after the massacre, moments before a Golden Knights home game, everything would change.